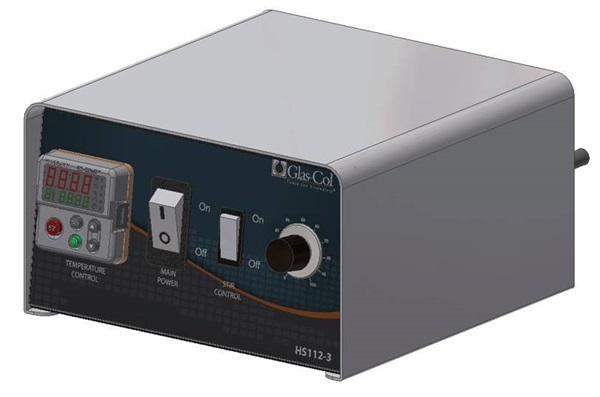 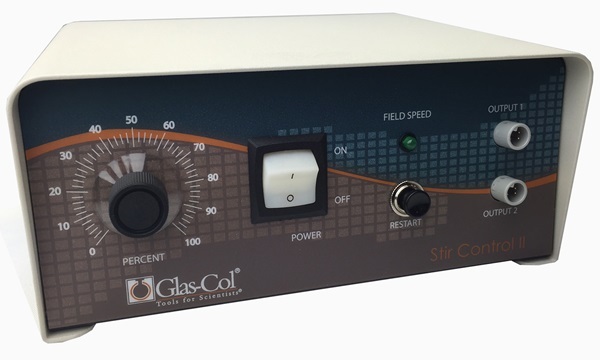 Glas-Col offers two types of StirMantles: Electromagnetic (50 to 750 rpm) and Motor Driven (100 to 1850 rpm). 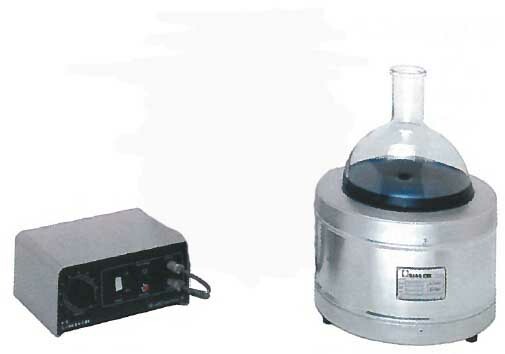 The maximum rpms available for each type depends on the viscosity of the solution being heated. 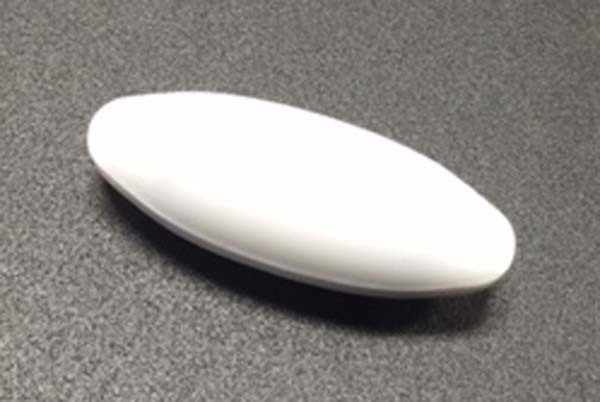 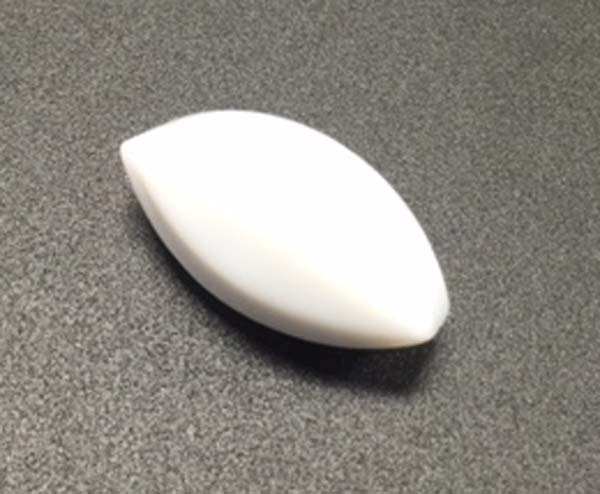 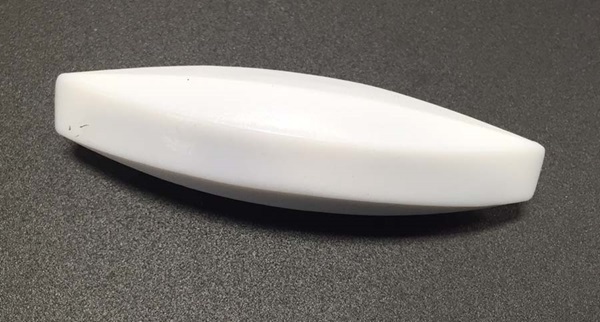 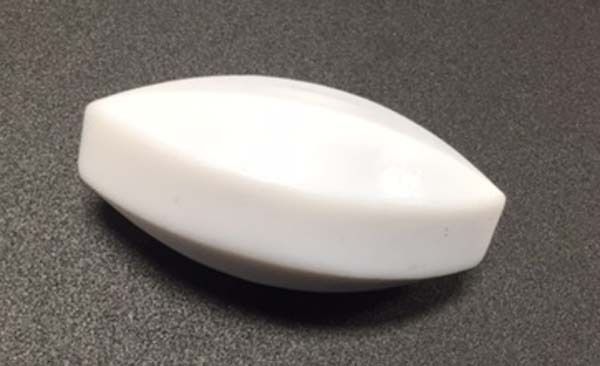 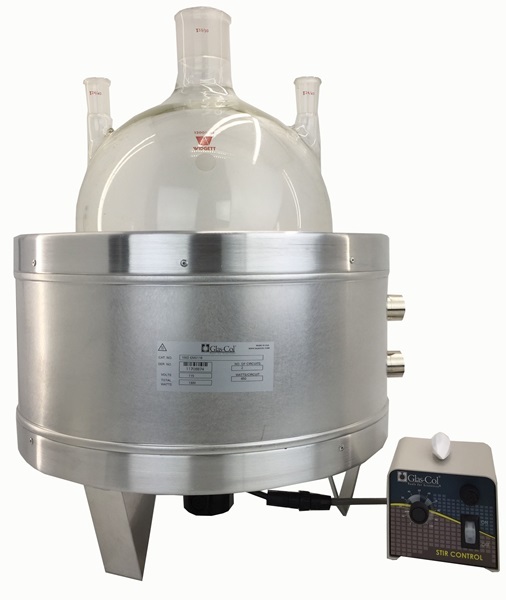 Electromagnetic StirMantles are typically used with aqueous solutions like water, while the Motor Driven units use a powerful magnet for higher viscous solution like oils. 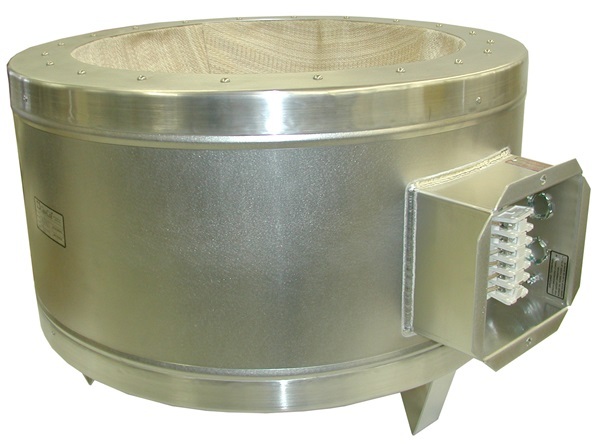 StirMantles withstands 400°C internal operating temperature. 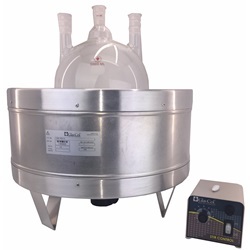 EMS series include the heating mantle, speed control and stir-bar. 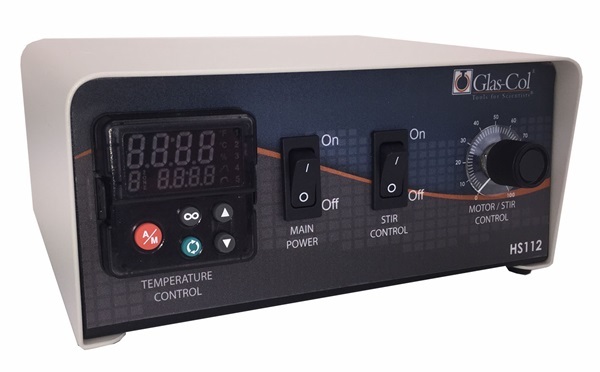 TEM series only includes the heating mantle and allows the customer in select different speed control options or combined speed/temperature packages like the 104A HS112. 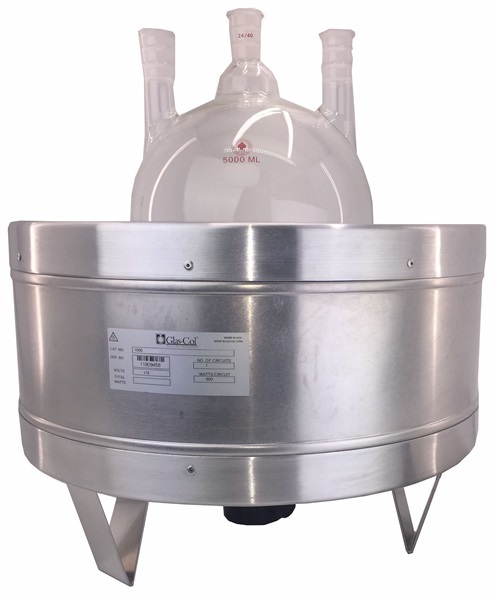 Stirring bar 3/4" x 1-5/8"
Stirring Bar 1/2" X 1-3/8"
Stirring bar 3/4" x 3"
Stirmantle, 1/50 hp motor, variable speed stir control, stir bar and 4 ft cord. 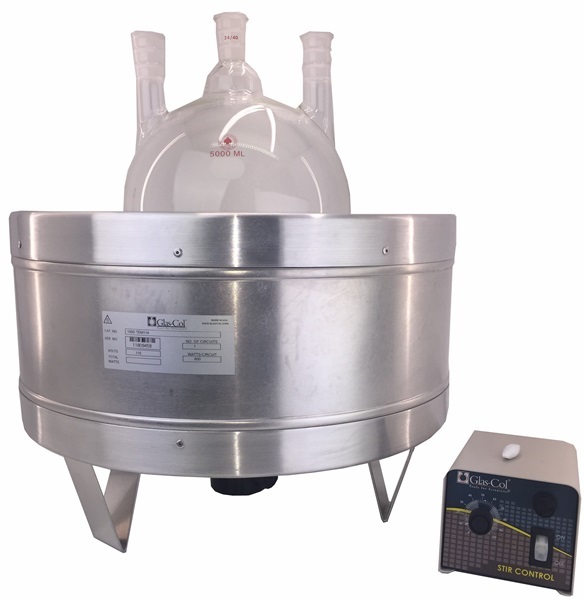 Large StirMantle 12L sph flask. 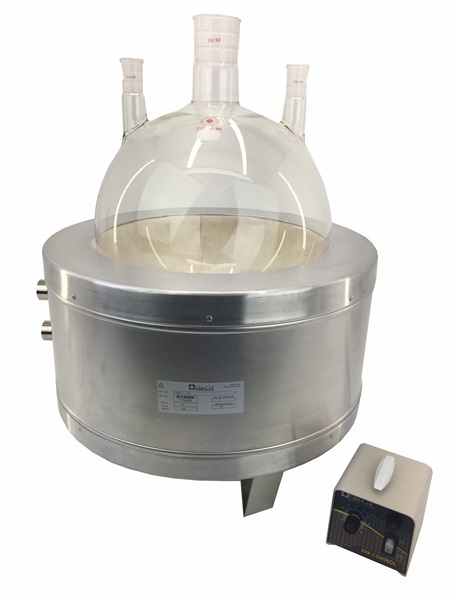 230V stir mantles are not returnable. 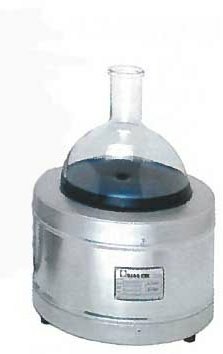 Stirmantle, with 1/50 hp motor, variable speed stir control, stir bar and 4 ft cord. 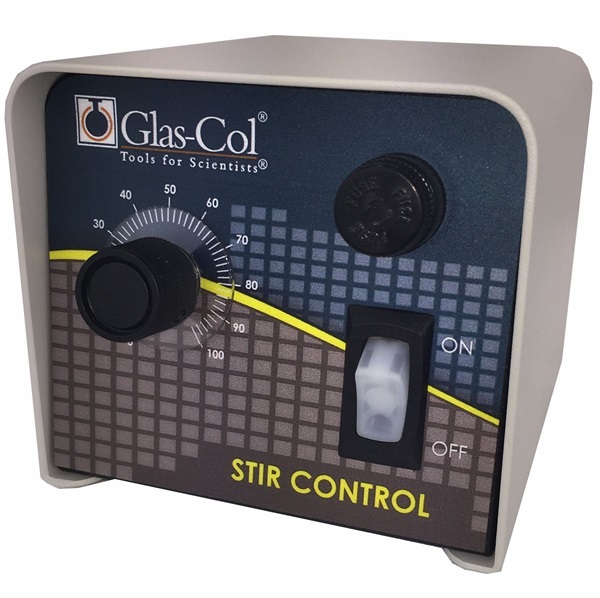 Stirmantle, with 1/50 hp motor, variable speed stir control, stir bar and terminal box for heating application. 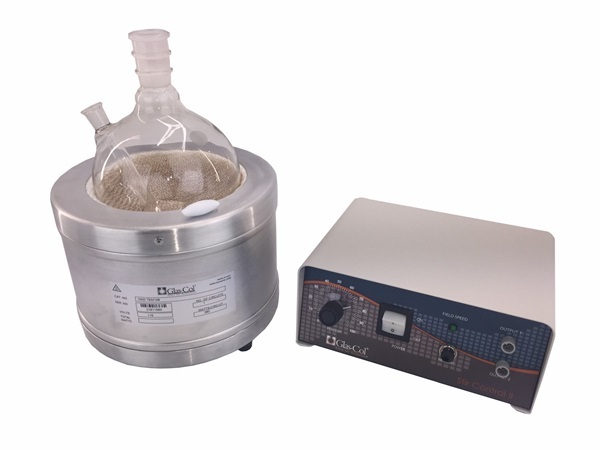 Stirmantle, 1/50 hp motor, variable speed stir control, stir bar and terminal box for heating application.